An arriva train (left) Picture: Train Photos (CC BY-SA 2.0) Crossrail (right). The First Minister has sought to reduce expectations around the impact of the new rail franchise in Wales. Speaking today, he warned passengers that substantial changes including new carriages and electric services are “not going to happen overnight”. A new operator to run the Wales and Borders franchise for the next 15 years is due to be announced later this month. The Conservatives said that Carwyn Jones’ comments were far cry from the “brave new era” Welsh passengers were sold by Labour ministers when the procurement process was in its infancy. “This is half the world away from the brave new era in rail travel that we were sold, and the First Minister’s comments will be of serious concern to long-suffering passengers,” Shadow Economy Secretary, Russell George, said. 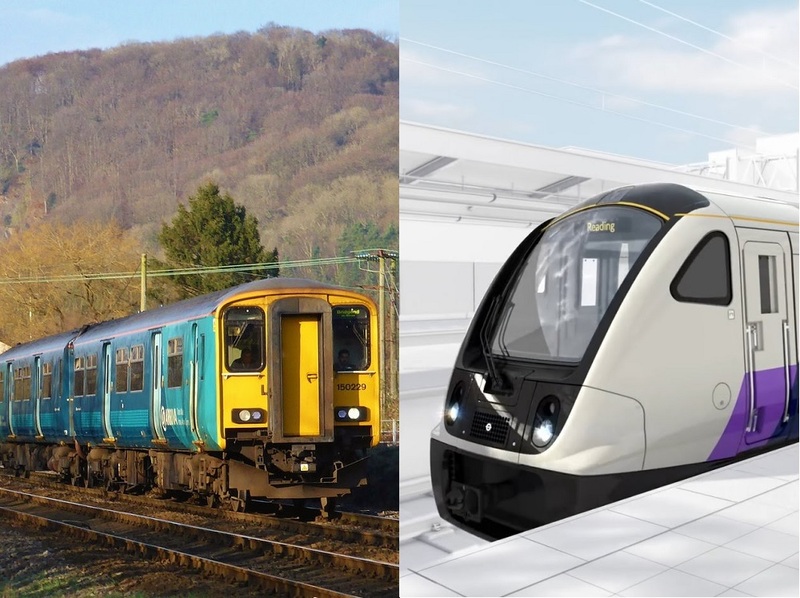 “The new franchise must improve rail transport standards across Wales – and this downplaying of expectations simply isn’t good enough. The news comes as it was revealed that Crossrail in London will need an estimated £500M bailout in order to keep the project running. Power supply and signalling problems have sent the £14.8bn project over budget, the Sunday Times reported. The bailout is expected to be announced in the next few weeks, the newspaper said. Assembly Member Rhun ap Iorwerth said that the ‘bailout’ was an example of how the “UK doesn’t work for Wales”.